Housed in a former courthouse building in the heart of Copenhagen, the pop-up exhibition took place at Nomad workspaces, a modern co-working space for budding entrepreneurs and creatives. 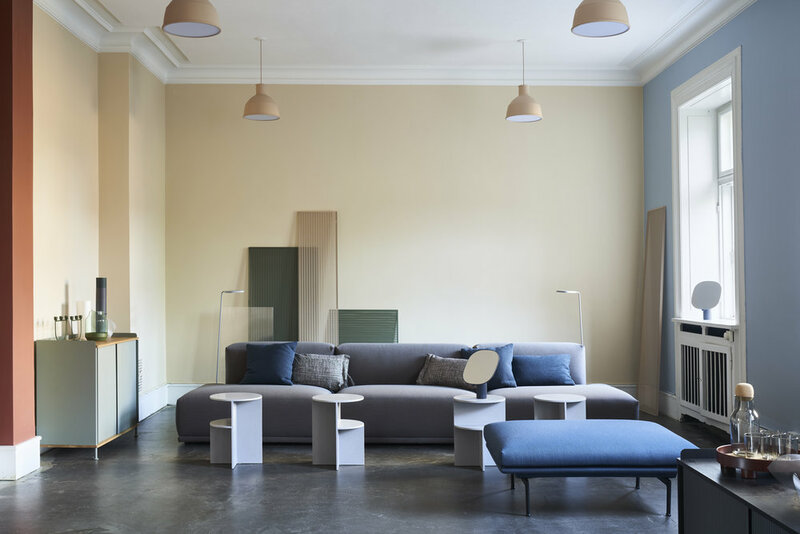 Designed by interior designer Natalia Sanchéz’, Muuto at Nomad presents a new perspective on the Muuto universe through the context of a modern co-working space that spans across open-plan work areas, lounge spaces and conference settings. In her approach to the interior design, Sanchéz emphasized the application of her intuitively colorful approach to the Muuto at Nomad space, allowing for it to interact with the aesthetic and functional sentiments of Muuto designs. Bringing the presence of art into the context of Muuto at Nomad, the pop-up sees Muuto collaborate with three different creatives—Wang & Söderström, Tekla Evelina Severin and Katja Boom—for site-specific art installations, all revolving around Muuto’s the dots. Wang & Söderström have a created the 3,6mx2,5m wall installation, placing 98 of Muuto’s the Dots into their eccentric universe. “Wherever we look around the world, we find the same kind of organic patterns with their own unique systematization. from star clusters to microscopic explorations, we wanted to play with scale and perception of seeing something from afar as opposed to up-close." The piece, titled cosmos, invites the viewer to make their own assumptions and connect with the dots in a personal way.